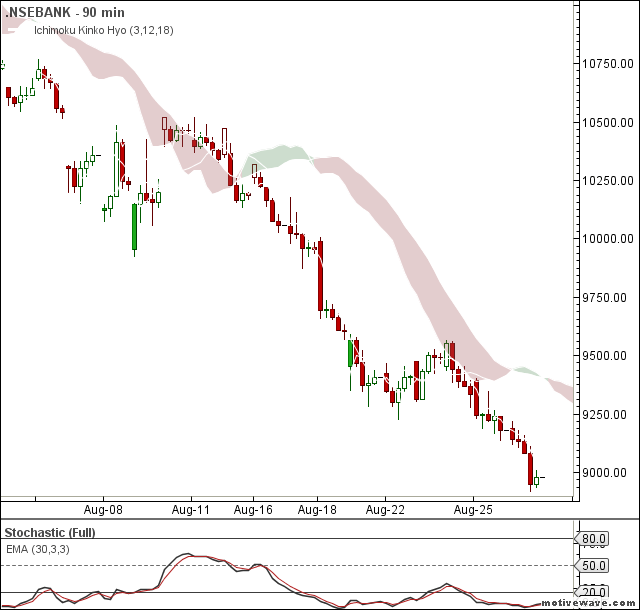 Nifty and Bank Nifty charts are in prolonged sell mode. 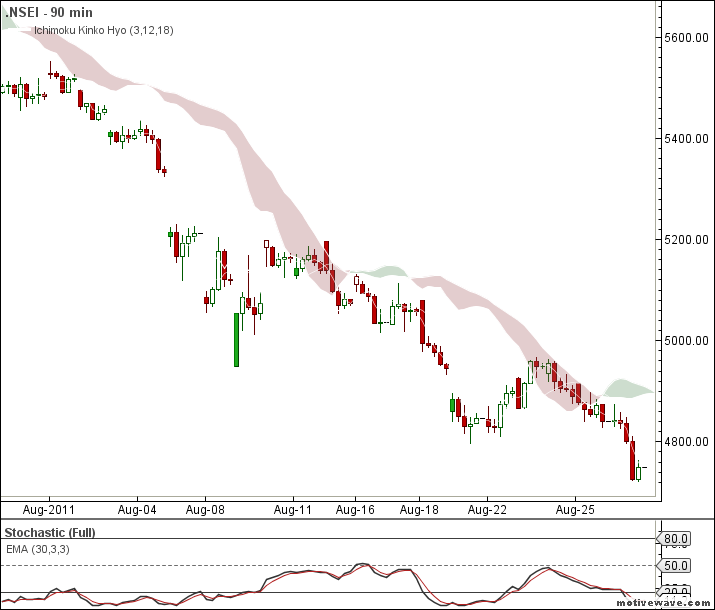 Nifty in sell mode since 27th July i.e almost a month long on the ichimoku 90 min charts. Nifty resistance near 4900 zone and Bank nifty resistance levels are at 9350.